This yummy perennial vegetable produces a chemical that can kill nematodes. Tomatoes contain solanine, a substance that is toxic to the asparagus beetle. In addition, tomatoes grow tall, creating shade around asparagus plants, thus not allowing weeds to grow. These pretty old-fashioned annual flowers not only add color and cheer to your garden but also do wonders protecting your tomato plants. The deter whiteflies, squash bugs, beetles, and aphids while keeping fungal disease at bay. Although they are annual, they often reseed making them an even more delightful addition. 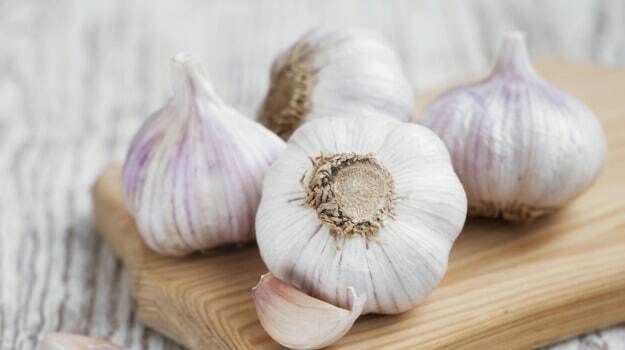 Planting garlic alongside your tomatoes will help to keep spider mites away.Besides, who doesn’t like a little fresh garlic in their tomato salad?